Hello everyone! How are you doing? I’ve noticed that I post way too many pictures of food and brunch on my instagram (click here to follow), that I might as well start talking about food on my blog. I just love food. I mean, who doesn’t?! I also love eating out. You can’t spend a weekend not eating out, I don’t care if you want to stay in bed all weekend you have to go out at least ONCE. I demand you to do it. 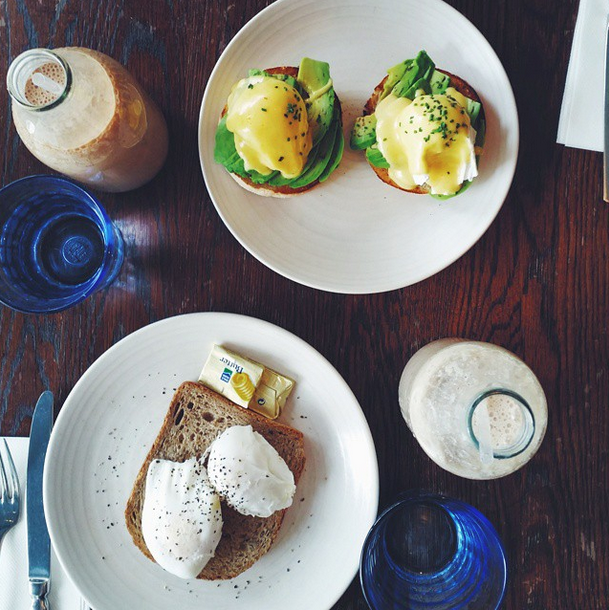 Since I now live in a big city with so many places to go, I wanted to share some favourite places of mine to have brunch at. Whether you live here or ever visit London, you must go to these places if you get the chance. These are in no order because I just love them all. 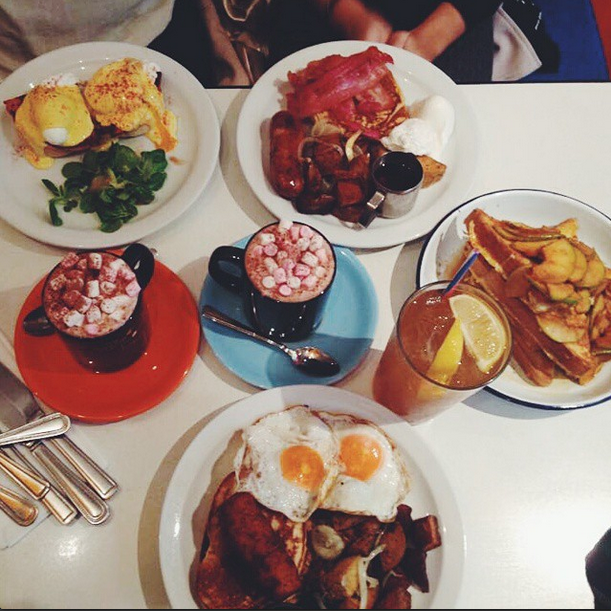 It was one of the first restaurants I had brunch at in London, and it did not disappoint. I’ve heard a lot of people expected more but I honestly thought it was amazing and delicious. I’ve been there twice and I love it. The only disappointment is the wait to get inside. My advice: don’t go to the one in Soho, we waited for almost 2 hours! When we went to the one at Angel it was only less than a half an hour wait. Also, you should arrive a bit early so you won’t starve to death. If you’re craving pancakes or crepes, just come here. Seriously. You won’t regret it. 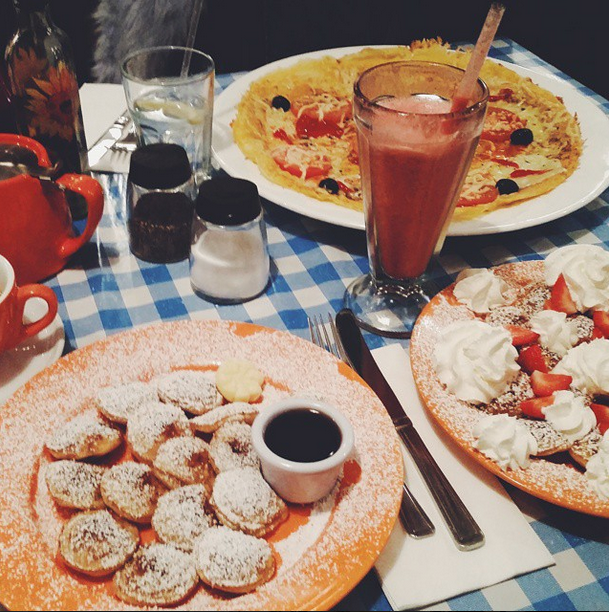 It’s similar to iHop and they have such a huge variety of sweet and savoury pancakes. God bless pancakes. I love this place so much. Everything is tasty here, and quite healthy if I do say so myself. All the cafés are so cute and the way they present the dishes are adorable. I had eggs and toast and they were so good. I’d definitely recommend it as a healthy/organic alternative. We went here just yesterday after our last University deadline was finished. After hearing so much about this place, I decided to give it a go. I love the atmosphere here, it’s very cosy and home-y and you feel like you’re in an English place. The service is great and the food tastes amazing, you definitely feel like your food has been freshly cooked. I’ve previously had lunch here too and would definitely recommend this place! My advice is, if you’re a lot of people you should book a table, as it can get quite crowded. Have you ever tried these places? 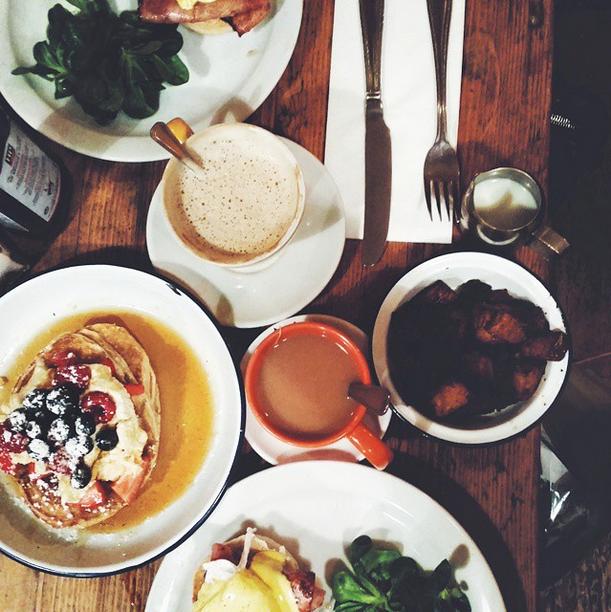 Are there any other good places for brunch? Let me know in the comments below! "My top 5 red lipsticks"